All pickups are August 31st at Sunnyside Community Services from 5-8pm. Red Tomatoes – Another week of delicious beefsteak tomatoes. Store on the counter. Use now. Sungold Cherry Tomatoes & Blush Cocktail Tomatoes – Great for snacking and salads. Store on the counter. Use now. Zucchini – We’re on to the last planting of these, so enjoy the final harvest. Store in the fridge. Use within a week. Peppers – These green frying peppers are not spicy. Store in the fridge. Use within a week. Nicola Potatoes – A nice, waxy variety–great for salads or roasting. Store in a cool, dark place. Use within a week. Onions – These can last up to three weeks in a cool, dark place–but it’s recommended to eat them sooner. Use within a week. Red Batavian Lettuce – More yummy summer lettuce. Store in the fridge. Use within a week. All pickups are August 24th at Sunnyside Community Services from 5-8pm. 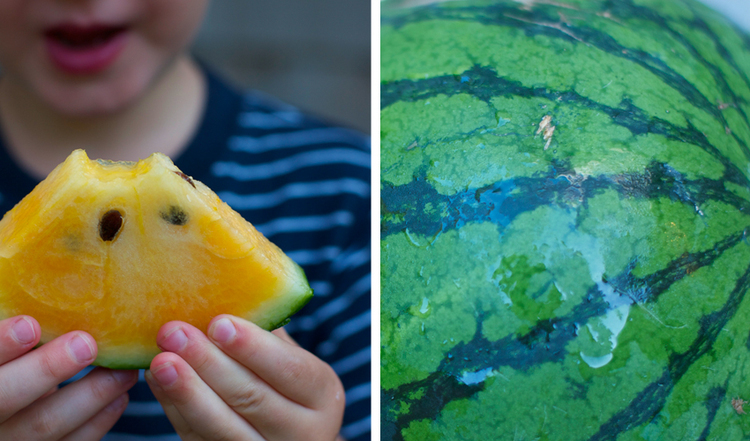 Orange Watermelon – Give it a try and see how it compares to last week! Store in the fridge. Use now. 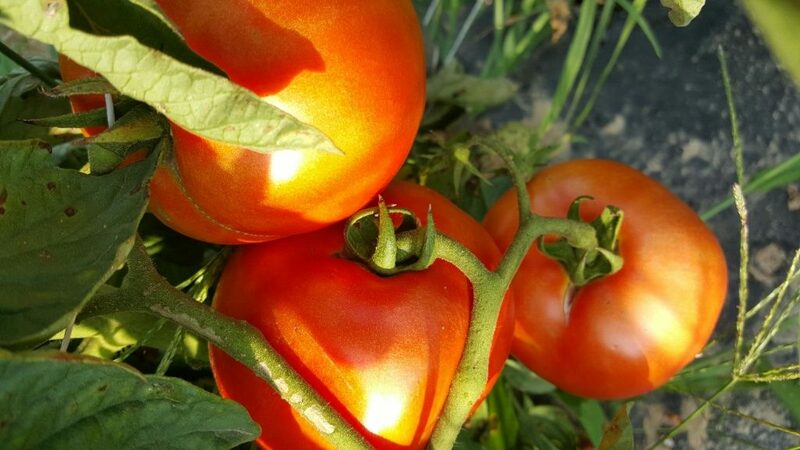 Red Tomatoes – This week is beefsteak tomatoes that have been growing since May. Golden Earthworm sent an email how to know when they’re ripe. Store on the counter. Use now. Sungold Cherry Tomatoes – Great for snacking and salads. Store on the counter. Use now. Swiss Chard – This summer green is back and ready to be pan-fried. Store in the fridge. Use within 3 days. Cabbage – One more week of cabbage this summer. Store in the fridge. Use within a week, but if you wrap it well it can last for longer. Red Batavian Lettuce – Lots of greens this week! Store in the fridge. Use within a week.